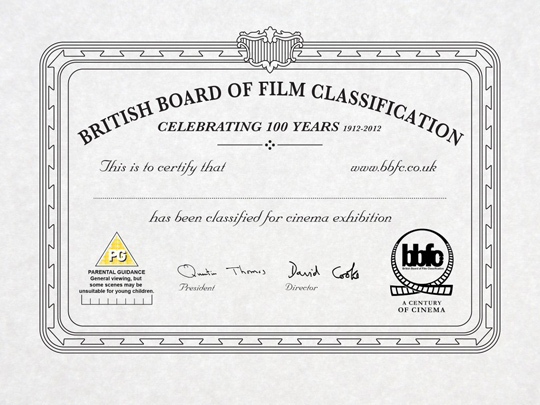 As if to make amends for some of their totally bonkers decision-making this year, the BBFC have announced that six retro Black Cards (based on those used in 1913, the 1940s, 1960s, 1970s, 1980s and the present day) will be reintroduced in 2012 to mark their 100th year. The first (above) is based on the original 1912 theatrical card, first shown in 1913. See? It makes anything look classy.